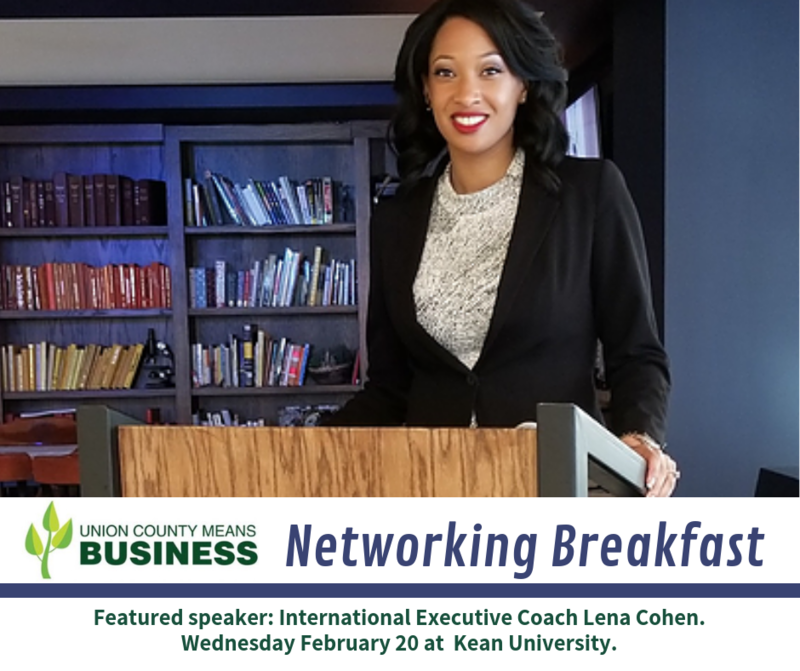 The event will be held on Wednesday, February 20 beginning at 8:30 a.m. at the Kean University STEM Building, 1075 Morris Avenue in Union Township and is open to all Union County business owners, managers and entrepreneurs. “Ms. Cohen brings a compelling message of personal development and fulfillment to Union County Means Business, underscored by her career experiences and her distinguished record in community action,” said Freeholder Chair Bette Jane Kowalski. Lena Cohen has dedicated her life to advocating for a life of balance that includes physical health, relationships, mental wellness, and spirituality. She is an internationally known and requested TED Speaker, decorated community activist, sought after executive coach, and author of two life changing books, Stop, Drop, and Roll and EQ and You. As a Masters Level Clinician and Corporate Trainer, Lena uses her experience to help people focus on self-development, advancement, and fulfillment in their careers and in their personal lives. Lena acquired her knowledge of emotional intelligence partly through the experience working in the fast paced news rooms of CBS, including the number one television news magazine show in the country. In Building Better Business Relationships, Lena will explore leadership styles, achieving next-level connections, and the importance of diversity and inclusion among other topics. Breakfast is included in the event. Pre-registration is requireD. To register, visit ucnj.org/ucmb. Union County Means Business is an initiative of the Union County Board of Chosen Freeholders, designed to connect the local business community with hands-on guidance and resources for growth. For more information on the Networking Breakfast and other programs, visit ucnj.org/ucmb or contact Dean Mesaros by phone at 908-659-7412 or by email at dmesaros@ucnj.org.